String Quintet No. 1 in F Major, Op. 88 "Spring"
Seen as the successor to Beethoven by many of his contemporaries, Johannes Brahms combined traditional form with an originality o fmusical language that has inspired generations of composers. His two string quintets are, like Mozart’s, scored with two violas for richness of texture and harmonic depth. The positive mood of the First String Quintet reflects the sunny resort of Bad Ischl where Brahms composed during the spring of 1882, while his Second String Quintet combines symphonic breadth with nostalgic melancholy in what was originally intended to be his final chamber work. Formed in 1987, the New Zealand String Quartet has established a distinguished international reputation over the past three decades. 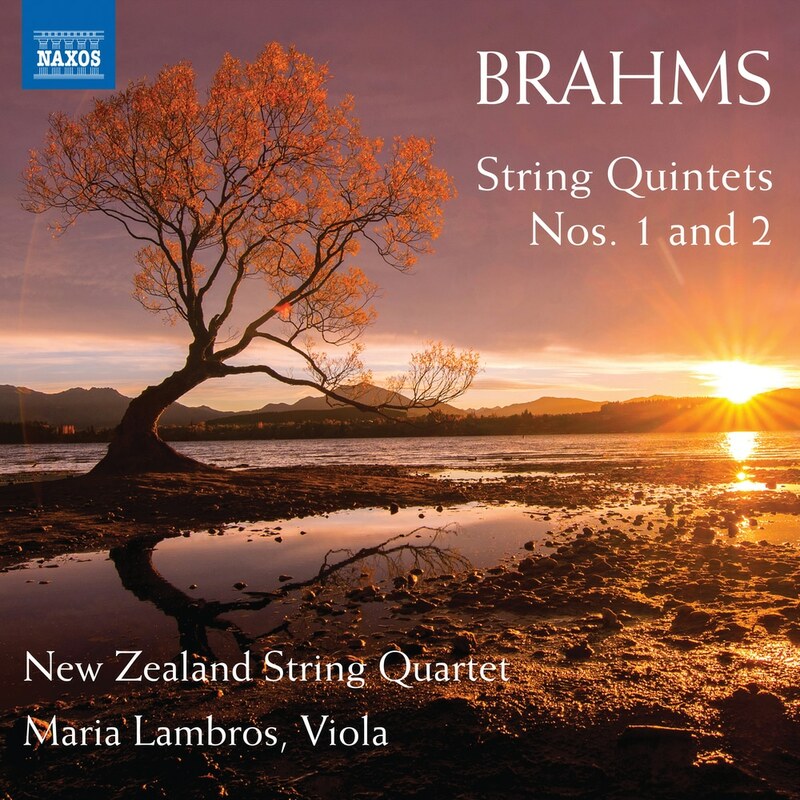 The ensemble’s discography includes all the quartets by Mendelssohn, Bartok and Berg, and this recording completes their three albums of Brahms chamber music for Naxos.